Jean Valjean has served years in prison for stealing bread, under the watchful eye of prison guard Javert. At the conclusion of his sentence Valjean is released. Javert warns him that he must carry papers with him identifying him as a dangerous person. He is required to report to parole officers regularly. His papers make finding work or lodging very difficult, but a priest takes Valjean in and shows him mercy. Touched by this, Valjean dedicates his life to God and to mercy. He throws away his probation papers, assumes a new identity, skips parole, leaves town, and becomes a benevolent factory owner and mayor in a town far away. 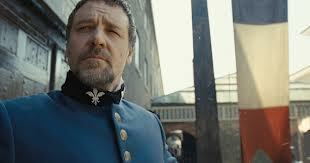 Javert is assigned to Valjean’s town, and recognizes him. Much of Les Mis is centered on Valjean and Javert, but in between scenes with Javert, Valjean takes compassion on a destitute, dying woman, rescues and raises her child as his own, and sees the girl marry a young revolutionary. 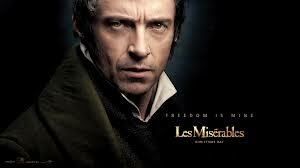 After Valjean skips town, he becomes the mayor of the same town in which he owns a successful business. Fantine, a young woman, worked in Valjean’s factory in order to support her daughter, but she was wrongfully fired and had to pursue income in dangerous and degrading ways. Valjean finds her and acts mercifully towards her. As she dies, he promises to find and care for her daughter, Cosette. 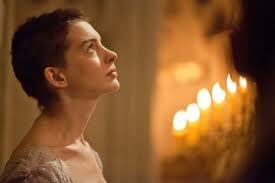 Valjean finds her at home of the innkeepers to whom Fantine had entrusted her. They have mistreated her. Valjean rescues her, raises her, and sees her marry an idealistic young man. He dies in a monastery with Cosette and her husband present. Valjean shows unconditional love to Fantine and to Cosette. He is selfless, and through his work, many lives are made better. He is pained when Cosette falls in love and intends to marry, but researches her beloved, finds him worthy, and helps him in an hour of need. Valjean is a strong example of the good that one person can accomplish, including adopting and loving an orphan. Les Mis isn’t for kids. Prostitutes, teeth extraction, gun violence, and death of loved characters are all shown onscreen, and could all be triggers for kids. Valjean rescues Cosette from negligent innkeepers, but does so while on the run from the law; Cosette is forced to live in perpetual hiding. Once she marries, Valjean tries to leave her without a goodbye, choosing to keep her in the dark about his past while protecting her from a life on the run. To Cosette, this is abandonment. Parents should watch this film before watching it with their teens. 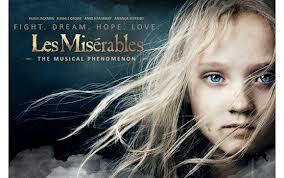 Les Mis is a powerful story, and this film captures and relates the powerful emotions. There is potential for much value in this film, but first be sure your kids won’t be triggered. Javert continued to see Valjean as a criminal. In what ways was Javert right? In what ways was Javert wrong? Javert wanted to arrest Fantine. In what ways was he right? In what ways was he wrong? Valjean did not want Cosette to know his story. Why not? How do you feel about his decision to not clue her in to why they are always on the run? 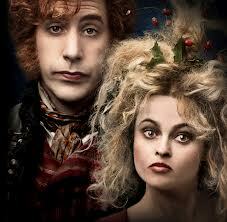 Have you ever met anyone like the innkeeper and his wife? Which scene did you find most powerful? Want to know when more movie reviews are posted? Like Adoption At The Movies on Facebook or Follow Me on Twitter.